We all remember the days when the party opposite would decry stealth taxes: but now we see in the cold light of administration, that they actually love them. Their slogan of doing things “with” residents, now heavily caveated to say only if they agree with – in this instance – residents’ choice of vehicle. Now I firmly believe that the job of local government is to work to ensure we make residents lives easier. In a borough as densely populated as ours, parking will always be at a premium. But it is equally my conviction that far from nanny state finger wagging at those who’s cars and vans you don’t like, we as a council should simply seek to help people and their visitors park as close to their front door as possible, no matter what they drive. Furthermore, this new found hatred of diesel is somewhat surprising, given that the last Labour Government, egged on by the European Union, went out of their way to ENCOURAGE people to buy diesel cars. So, why are we on this side, opposed to this additional tax on diesel car and van owners. Firstly, because it is nonsensical from an environmental perspective. Diesel cars are simply not the worst offenders for putting nitrogen dioxide and nitrous oxide into the air. The worst offenders are aircraft and heavy goods vehicles, with buses and black cabs also contributing. The Council should look at other positive ideas, that may actually work, rather than just taxing hard working families and individuals. For example, gas boilers contribute approximately 12 per cent of London’s nitrous oxide emissions, which equally contribute to nitrogen dioxide. A London Boiler Cashback Scheme was launched by Mayor Boris Johnson in February 2016, providing £400 cashback to households that replaced the oldest, most polluting boilers with the newest and cleanest models. Funding of £2.6 million was allocated to the scheme, which provided for 6,500 owner occupiers and accredited private landlords to benefit from the scheme. An extension of this scheme would allow greater nitrogen dioxide savings to be achieved and more households to benefit from lower bills. Secondly, because this stealth tax it makes no financial sense. What on earth is an extra £20 or £30 a year on the price of a permit going to achieve when the cost of changing a car will cost people a minimum of thousands of pounds if not tens of thousands? And the people who can least afford it, those who rely on their small van for work, or modest car to ferry the kids about, will be hit the hardest. 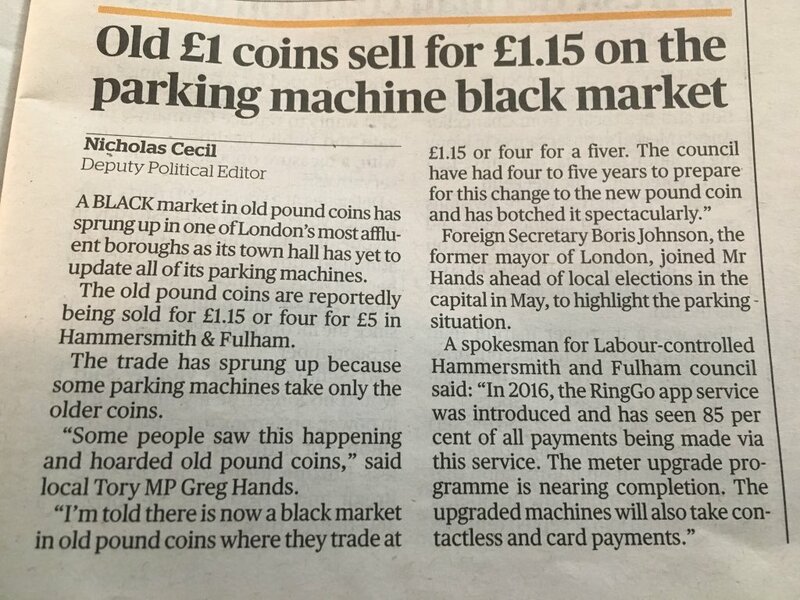 That extra £20 or £30 a year will really hurt many of our residents, who need their vehicle, worked hard to get it and maintain it, and are taxed enough already on fuel, their road fund license and frankly, the current rate of parking permits. Thirdly, bizarrely from a party who are supposed to be about fairness and the redistribution of wealth, because it is deeply unfair to those who can least afford to change their vehicle AND beneficial to the owners of more expensive, fuel inefficient cars. Indeed, without really wanting to channel Neil Kinnock, we must ask ourselves, why is it, that a Labour Council, is taxing the owner of a diesel Ford Fiesta on Crookham Road in my ward more, but the £119,000, 16 feet long Porsche Cayenne Turbo S parked next to it gets a tax break by still only paying £119 a year, despite taking up five feet more in length! Or perhaps they are proud of wanting to charge the owner of the 75mpg Skoda Fabia on Mimosa Street more to park, but the £132,000, 15mpg, 550hp, 5.0 Litre V8 Supercharged Petrol, Range Rover SV Autobiography parked next to it less. Is that what the Labour Party has become? Champion of the supercar? Promoter of the Porsche? Friend of the Ferrari? All great cars, but it just doesn’t add up with what they say they are trying to achieve. To be generous, Labour are confused on this matter. To be more accurate, I think they are engaged on a mission of spite – desperate for a headline, but without and substance or foundation. Give it a rethink guys. If you want to help the environment, there is so much more you could have done. From this week residents in Hammersmith and Fulham going through the miserable and expensive procedure of recovering their car after it has been towed away by the Council will no longer have to visit Barclay Road in Fulham – instead they must go to the Lots Road Car Pound, 63 Lots Road, London, SW10 0RN. But is it really necessary for so many to have to make the journey. I think the Council are to quick to tow away vehicles. It should be a last resort. Someone who forgets to move their car on a Monday morning before 9am should get a ticket but not get towed away. I have been sent a breakdown of the figures. The 754 people who cars were towed for being “parked in a restricted street during prescribed hours” (between April to September this year) probably feel the Council behaved disproportionately. It is reasonable to issue a ticket and charge them the £40 penalty charge. It is unreasonable to remove the car and charge an extra £200 to let them have it back. Astonishingly this draconian policy is not actually a money spinner for the Council – due the cost of maintaining the “service”. The revenue in the last 12 months from fines from motorists whose vehicles we have towed away. The total income from removals between 1 October 2015 and 30 September 2016 was £435,065. This includes the PCN fee, removal fee and any storage fees. The cost to the Council of towing away cars in the past 12 months. Approximately £700,000. This includes the cost for the whole removal operation including pound administration. How many cars have been towed away in the past 12 months. We removed 1116 cars and relocated 2381. Sometimes there will be abandoned vehicles – or vehicles parked in a way that causes real danger or genuinely serious obstruction. So sometimes they will need to to be towed away. What seems to me to be the case is that this should be scaled down to the minimum required. Absent minded motorists who are responsible for some minor technical infringement should not be fleeced and treated like criminals. Nor should Council Taxpayers face a bill of £265,00o a year – even after the revenue from these hefty penalties has been gathered in. The current arrangements is needlessly misery inducing. It needs to be drastically curtailed. We were horrified to read you are proposing parking changes to Zone J without any proper consultation. Only two years ago a proper consultation was carried out here in Zone J and the response of the majority was against any extension of controlled hours and in favour of continuing with the status quo. We were later assured there would be no changes or any more parking consultations for a while. Now, out of the blue, with no consultation with individual residents at all, comes this extraordinary decision. Our residents group, RAPA was never informed or consulted. Nor was Save Shepherd’s Bush Streets. As far as I know no one north of the Uxbridge Road had a say. We were not privy to your secret consultations, and feel strongly that you should not be extending controlled hours without another proper consultation such as was carried out last time, so that every single resident can have their say, rather than it all being decided behind closed doors by some select few with, no doubt, their own axes to grind. This sort of unilateral and overbearing decision is more like something done by the Conservatives, not Labour, and we are really upset to think that all this decision making was going on behind our backs. We voted you in to prevent this kind of stuff happening. At the last consultation RAPA did not get involved as we felt that there were so many interested small groups that it would be unfair to let them determine matters when there should be a proper democratic consultation in which every resident in Zone J takes part, with lots of choices offered including the possibility of retaining the status quo. If you cannot reassure us that this plan will be put on hold, I would like to meet you to discover what the background to this extraordinary decision is and how you think you can justify it – one that affects all of us, and to which only a select few have been allowed to contribute. We also question whether it is legal to impose these extensions of parking controls without proper consultation. There are three football clubs in our borough. Chelsea and QPR and in the Premier League. 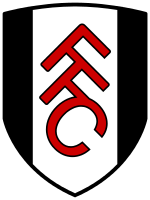 Fulham used to be in the Premier League. Amidst all the cheering there is the frustration of residents trying to find a parking space on match days. Labour won votes at the council elections by promising to extend match day restrictions so that locals – with parking permits – would find it easier to get a space. These restrictions already apply in Parking Zones X and Y (near Craven Cottage) – although that also increases the pressure on adjacent zones. So some people in those zones voted Labour to get them extended. It’s true that Labour’s manifesto merely promised to “address this where required”. To “address” the issue could simply mean consider bringing in restrictions and then proceeding to do nothing. But their manifesto come out after polling day. Labour canvassers in streets such as Archel Road (in Zone D) were more emphatic. Voters asking for more restrictions were told they would get them. 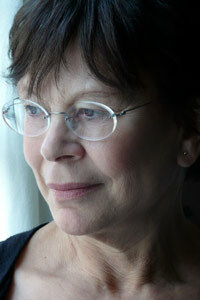 The difficulty, which was disregarded, is that these extra restrictions would involve a significant cost. When residents in all the zones south of the Talgarth Road were consulted on it four years ago the offer involved a £40 increase in the annual parking permit for those zones that opted for match day parking. That was probably why the proposal was rejected. The cost was detailed in report on Tuesday to a council committee. 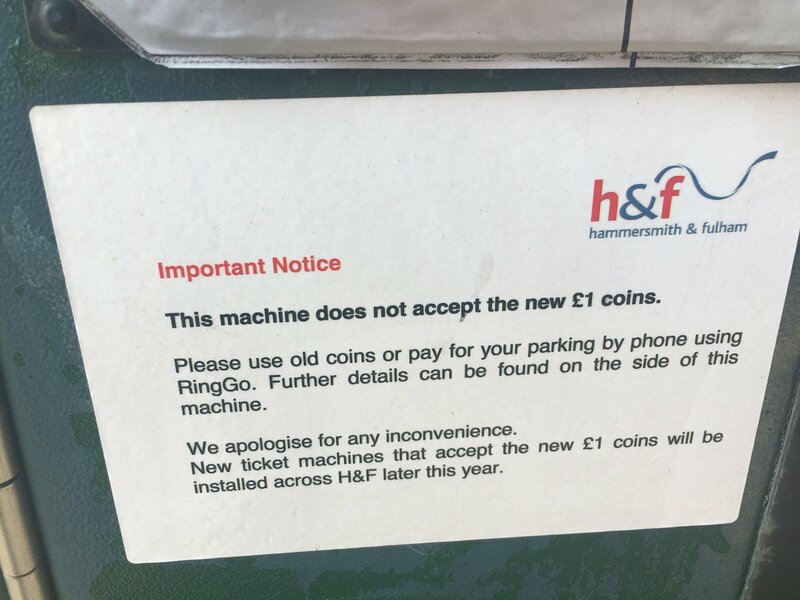 “The variable message signs deployed in CPZ X & Y are very clear and efficient, however there is a considerable capital cost of around £7,000 for each sign which would equate to a cost in the region of £4 million if the scheme were to be introduced in the 10 zones that were consulted. Why not do it on the cheap and not have such fancy signs with their bright lights? What about getting the £4 million from Section 106 payments from property developers? There is not unlimited money in that pot, there are restrictions on which each payment can go on and, in any case, Labour had pledged that funding extra police officers was to be the priority. So it is not quite as easy as Labour pretended in the election. Thus we had a pathetic spectacle on Tuesday evening of delay and evasion at the “Community Safety, Environment & Resident Services Policy and Accountability Committee”. There would be a “working party” or ” a task force” or “a consultation about a consultation.” It was language familiar to viewers of Yes Minister. When I suggested a time limit for actually making a decision there a most indignant response. By the way there was a another Labour election manifesto pledge was ditched the same evening.